I really like our Embedded Engineer solution for Enterprise Architect from Sparx Systems. It helps me build C or C++ code from within Enterprise Architect in a very efficient way. When using Lauterbach Trace 32 – I don’t really need an IDE for developing most of the day. So I find it kind of disturbing to run an IDE (in my case Code Composer) that I don’t need a lot just to be able to compile the code I generated from my UML Models. Enterprise Architect has an Exectution Analyzer that we can use to improve that situation a little bit. More Details can be found in an older Blog Post. Here are a few steps that I need to do to be able to compile from inside EA. 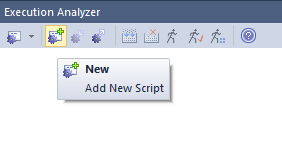 After testing it with a console window I go to Enterprise Architect and open the Execution Analyzer. After verifying the package I simply copy my command line and working directory in the Build Tab and select any Output Parser so the output will also be displayed in EA. Now hit OK – and it’s time to test it! And in my case everything worked fine and I can now build from within EA. 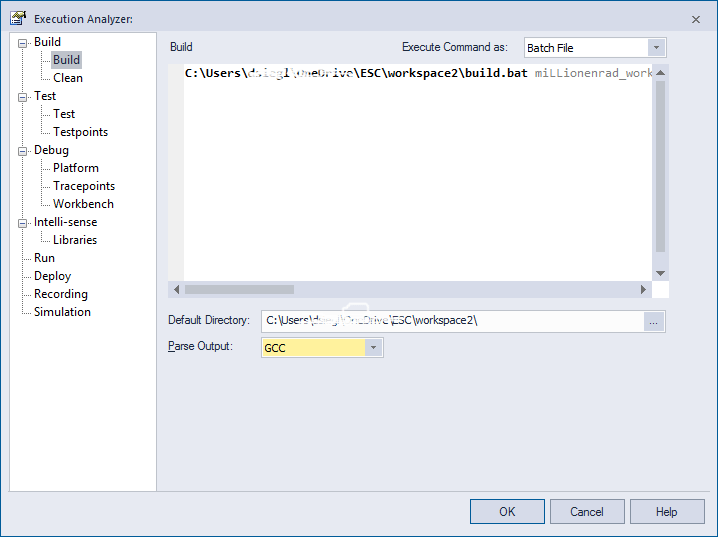 Of course this is not only possible with Embedded Engineer – it is a general feature of Enterprise Architect that should help anybody that is generating code from UML Models.